Coming from a musically background, Albrecht Panknin is driven by the complexity and possibilities of the technical and the digital World of Sound and Music. He produces music, audio walks, sound installation, and furthermore soundtracks and sound design. One of the main focuses in Albrecht Panknin work is the writing, directing and producing of audio plays. Going the whole way, from developing the idea over the writing of the script, the directing, producing, mixing and mastering, he is responsible for a complete audio play production for the german radio stations such as Deutschlandfunk, Hessischer Rundfunk, Rundfunk Berlin Brandenburg and Westdeutscher Rundfunk. Also the composition of the soundtrack for the audio play is an integral part of his creative process. 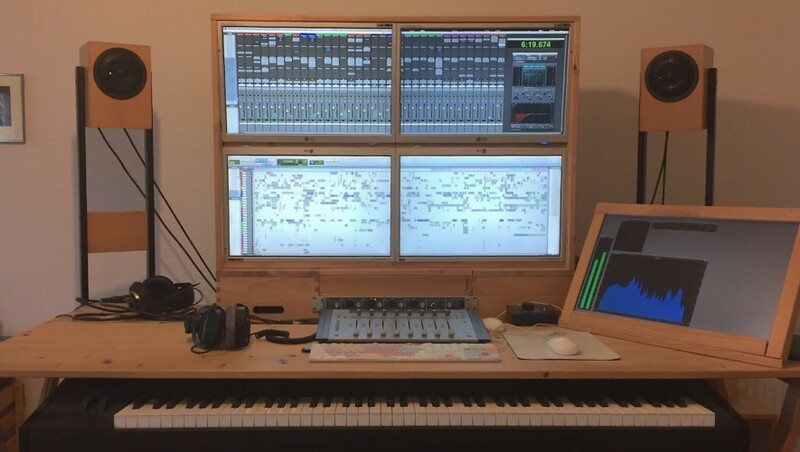 In his Studio ZPiAO founded in 2009, he produced several audio plays, soundtracks, sound designs for cinema, and audio plays, several music works, audio walks and sound installations.